FeastHome – Do you consider your kitchen to be smart? If you do, would you like to raise the standards? A smart kitchen is no doubt very appealing despite the simple accessories it might house. Attaining a smart kitchen requires a lot of discipline and commitment to ensure the status of the kitchen is not scathed in any way. Homeowners who have smart looking kitchens tend to enjoy spending more time at home and are never shy of hosting guests in their homes. Why? Kitchens play crucial roles in any home as they contribute a lot towards the beauty and well-being of the home. You too can own a smart looking kitchen without having to go through so much trouble. Now you must be wondering how you can attain a smart looking kitchen. Aren’t you? Making your kitchen smart is a very easy task. However, maintaining the smart look will prove to be a daunting task. For that reason, make sure you adopt standards that will ensure your kitchen always looks smart all the time. That said, here are ways through which you can be a proud owner of a smart kitchen. One thing that annoys most homeowners is the greasy wall in their kitchens. This effect is mostly caused by cooking smoke and spillages. Fortunately, all this can be a thing of the past by simply applying a fresh coat of paint on the wall. Alternatively, you may decide to change the colours of the wall and this will call for a new paint job. To achieve the best results, there are various things that you need to put into consideration. Does the new paint synchronise with the cleanup theme you have settled for? and what is the quality of paint that you want to use? 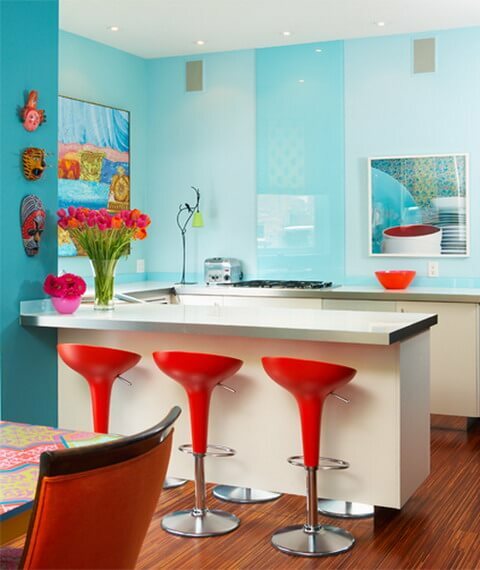 Firstly, you will need to choose a bright colour that will make the room more vibrant. 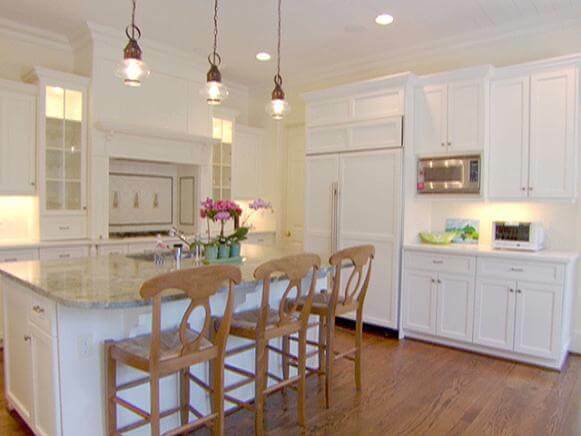 In addition, you should consider settling for high quality paint that will withstand any conditions in the kitchen. Once you have acquired what you are looking for, be sure to apply it professionally to maximize the look good effect it will have on the kitchen’s image. Painting is not necessarily limited to the walls but also it covers the floor, cabinets and shelves. Modernizing your kitchen is a sure way of making your kitchen to look and feel smart. Modern day accessories will not only make your work in the kitchen easier but also will enhance the look of your image in a great way. How? Modern appliances have numerous features that are aimed at enhancing the kitchen’s beauty. These accessories come in a wide range of colours, designs and sizes. Imagine acquiring an appliance that has the same colour as your wall or floor. The visual effect that you will enjoy will definitely be exhilarating. However, getting the desired results is not all dependent on acquiring the smart appliance. Instead, it is all about how you position the appliance in the kitchen. The smartest way to position the kitchen appliances is to have them in-built. This will ensure that thy are secure and gives the room a sophisticated look. Other accessories that can be used in the room are decorative accessories. Items such as wallpapers, artwork or kitchen plants will also come in handy in improving the general kitchen look. Cleaning your kitchen is arguably the surest way to keep your kitchen glittering. Conducting regular exercises will ensure that your kitchen maintains its image and that the accessories last long since they will not be affected by any foreign particles. When conducting the cleaning exercise, ensure that you use the necessary cleaning equipment and detergents. The best detergents to use for the cleanup should be natural based as the chemical ones will corrode the kitchen surfaces. Sparing time to thoroughly clean your kitchen from time to time will also help you to notice any problems thus you can address them before they interfere with the smart look in your kitchen. Now that your kitchen is clean, it is time to organize it. Organization plays a key role in ensuring that you arrange the kitchen items in a decent way that portrays responsibility and supports easy retrieval of items. Successful organization calls for you to be creative enough to come up with a unique way which will allow you to position furniture and other accessories in a unique manner. In addition, the organizational style should also ensure that you improve your efficiency while working in the kitchen. A clean yet simple environment is way better than one that is filled with expensive accessories that are filthy. 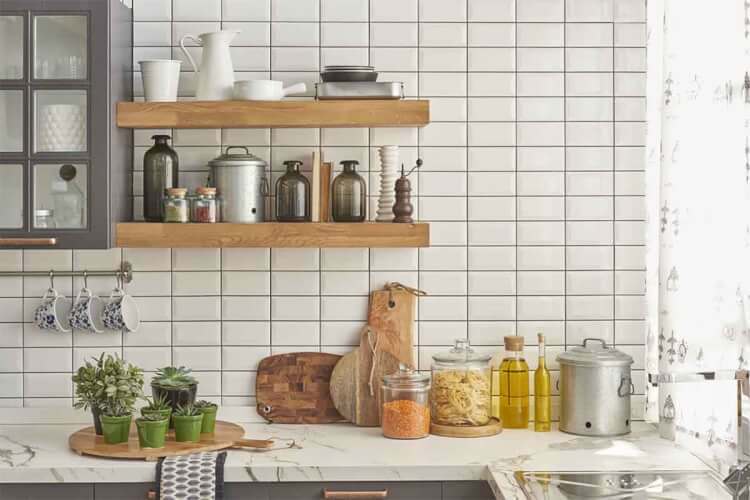 A homeowner who has perfected the art of planning is one who understands the importance of keeping the kitchen smart before undertaking other decorative plans. The outlook of your kitchen will form the basis on which guests will judge your level of responsibility towards your home. Therefore, you should strive to make your kitchen smart and you can rest assured that the other decorative aspects will follow.